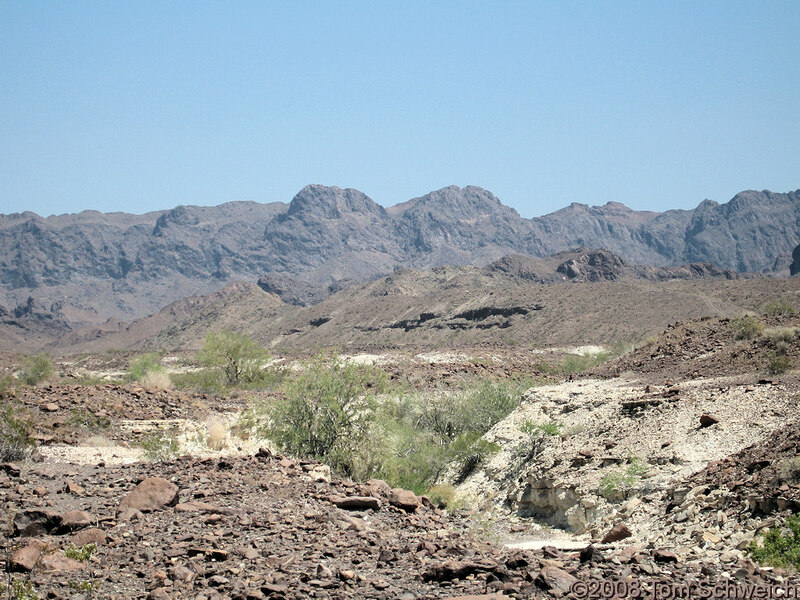 Photo: Trigo Mountains behind the Quarry Wash fossil locality. Eastern Mojave Vegetation Trigo Mountains behind the Quarry Wash fossil locality. Other photos about Geography - Arizona or La Paz County.